(March 23, 2010)--The UTSA Center for Educational Leadership, Policy and Professional Development in the College of Education and Human Development will host its inaugural educational symposium with discussion focusing on challenges and opportunities in Bexar County schools. The event is 8:30 a.m.-noon, Thursday, March 25 in the Durango Building Southwest Room (1.124) at the UTSA Downtown Campus. Representatives from the community will participate in discussion centering on the topic "How Can This Community Use All Its Assets to Provide the Best Education for All Children in Bexar County?" 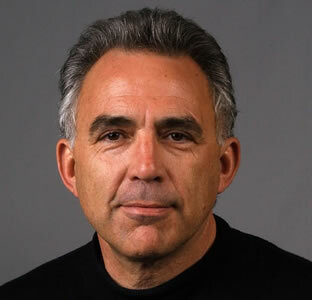 Robert Rivard, San Antonio Express-News editor, will facilitate the discussion. Presenters will include Julian Trevino, director of the UTSA Center for Educational Leadership Policy and Professional Development; Terry Smith, executive director of the Region 20 Education Service Center; and Christine Drennon, assistant professor of urban studies at Trinity University. "This symposium is the first in a series of several to be held by the center," said Trevino. "The goals of these symposia are to identify areas in need of research and professional development, all for the betterment of educational opportunities for Bexar County schoolchildren." Established in 2009, the Center for Educational Leadership Policy and Professional Development focuses on contemporary issues related to P-20 educational leadership and policy and providing professional development opportunities. The center's mission is to provide professional development to help educational leaders and teachers enable students to succeed; conduct and publish research on policies and effective leadership practices that lead to student success; bring together leaders from the public schools, private sector and universities, as well as education consultants and school reform leaders to work together to address issues faced by the public schools and draft reform strategies. The UTSA College of Education and Human Development is the leading provider of educators in the San Antonio area and one of the largest in Texas. Ranked third in the United States as producer of teacher-education degrees for Hispanics, the college is responsible for innovative research and grants in professional development, technology enhancement, health, school readiness, and bi-national and bicultural issues.